In mid-July, the U.S. Food and Drug Administration (FDA) released an alert to veterinarians and pet owners regarding reports of increased incidence of a heart disease called canine dilated cardiomyopathy (DCM). This disorder is characterized by weakening of the heart muscle, which leads to a decreased ability of the heart to pump, and if untreated, to cardiac failure. The reported cases occurred in breeds that are not considered to be genetically predisposed to this disorder. As these things go, there followed a lot of hype and a fair bit of hysteria in response. Let us avoid this type of reaction and instead look at the evidence – what do we currently know about the role of diet and taurine in the development of DCM in dogs and how is it that “grain-free” foods have been recently targeted as a possible dietary cause? What is Taurine? The nutrient taurine is a unique type of amino acid, called a beta-amino sulfonic acid. It is not incorporated into proteins but rather is found primarily as a free amino acid in body tissues and circulating in the blood. Taurine has many functions, but two that are important for this discussion involve its role in normal heart function and its presence as a component of bile acids, which are needed for fat digestion. Most animals obtain adequate taurine to meet their needs by producing it endogenously (in the body) from two other amino acids, methionine and cysteine. This means that while animals require taurine physiologically, most do not have a dietary requirement for taurine. The exception to this rule is the cat. Cats (but not dogs) always require a source of taurine in their food. If they do not have it, one of the diseases that they can develop (and possibly die from) is……you guessed it…..DCM. Taurine-deficiency DCM is well documented in cats. We also know quite a lot about the dietary factors that contribute to this disease in that species. In contrast, dogs (usually) do not require a source of dietary taurine. However, we know that some dogs still develop taurine-deficiency DCM. Why does this happen? The history of DCM in cats can help in untangling what may be occurring in dogs. Taurine-deficiency DCM in Cats: Looking back, I cannot avoid a sense of déjà vu. In the early 1980s veterinarians began reporting increased incidences of DCM in pet cats. By 1987, a role for dietary taurine was suspected. In a seminal study, a veterinary researcher at UC Davis reported low plasma (blood) taurine levels in 21 cats with clinical signs of DCM (1). When the cats were supplemented with taurine, all 21 completely recovered from the disease. This discovery led to a series of controlled studies that supported the existence of taurine-deficiency DCM developing in cats, despite being fed diets that contained sufficient concentrations of taurine. It has to do with Bile Acids: Another role of taurine is the body is that it is necessary for normal bile acid function. Taurine is linked to bile acids in the liver to form bile salts. These compounds are secreted into the small intestine during digestion where they function to aid in fat digestion. Animals are very efficient at conserving the taurine that is secreted into the intestine by reabsorbing the bile salts back into the body further down the intestinal tract. This occurs through a process called “enterohepatic reutilization” and prevents a daily loss of taurine in the feces. Herein lies the problem for cats with DCM: If anything happens during digestion that causes the degradation of the bile salt taurine or that inhibits its reabsorption into the body, more is lost in the feces. If this happens consistently, the cat will experience an increase in his or her daily need for dietary taurine. Simply put – if anything causes the cat to poop out more taurine-bile acid complexes (or their degraded by-products), the cat will be in danger of a taurine deficiency if a higher level is not provided in the diet. This is exactly what was happening in the cats with taurine-deficiency DCM – and is possibly what we are seeing today in dogs. The difference is that we know what diet factors caused taurine deficiency in cats during the late 1980s. These factors are not yet fully understood for dogs (but we can make a few guesses). Bile Acid Binding: Certain fibers and peptides (small protein chains) in the food can bind with bile salts the small intestine and make them unavailable for reabsorption into the body. This results in an increased daily loss of taurine in the feces and a subsequent increase in daily taurine requirement to replace that loss. Increased Microbial Degradation: Thermal processing of protein (extrusion or canning) can lead to the production of Maillard products – complexes of sugars and amino acids and are poorly digested in the small intestine. The undigested complexes travel to the large intestine and provide an intestinal environment that favors increased numbers of taurine-degrading bacteria. An increase in these bacterial populations reduces the proportion of taurine that is available for reabsorption and reuse by the body. Reduced Taurine Availability: Taurine is found naturally in animal-based proteins but is not found in plant-based protein sources. Therefore, providing diets that include a sufficient level of high-quality animal proteins (that are not heat damaged) should ensure adequate taurine intake. However, protein that is of low quality or that has been excessively heat-treated will be poorly digested, reducing the availability of taurine and of its precursor amino acids, cysteine and methionine. (Note: Cats produce small amounts of taurine from these precursors, while dogs can produce all of their needs from them, if adequate levels are available). In response to new information regarding the interaction of dietary factors and taurine status in cats (and their relationship to DCM in cats), the Association of American Feed Control Officials (AAFCO) increased the recommendations for dietary taurine in extruded and canned cat foods in the early 1990s. The current recommendations are 1000 mg taurine/kg (0.1 %) in dry (extruded) cat foods and 2000 mg taurine/kg (0.2 %) in canned cat foods. So, What about Dogs? Unlike the cat, dogs that are fed diets containing adequate levels of protein should be capable of synthesizing enough taurine from the two amino acid precursors, cysteine and methionine, to meet their needs. Therefore, a requirement for dietary taurine has not been generally recognized in dogs. Breed Predispositions: However, there is evidence – evidence that we have had for at least 15 years – that certain breeds of dogs, and possibly particular lines within breeds, exhibit a high prevalence of taurine-deficiency DCM. Genetically predisposed breeds include the American Cocker Spaniel, Golden Retriever, Labrador Retriever, Saint Bernard, Newfoundland and English Setter (5,6). Although the exact underlying cause is not known, it appears that some breeds have either a naturally occurring higher requirement for taurine or a metabolic abnormality that affects their taurine synthesis or utilization. Size: A second factor that affects taurine status in dogs is size. There is evidence that a large adult size and a relatively slow metabolic rate influences the rate of taurine production in the body and may subsequently lead to a dietary taurine requirement. It is theorized that increased body size in dogs is associated with an enhanced risk for developing taurine deficiency and that this risk may be exacerbated by a breed-specific genetic predisposition. For example, when compared metabolically, Newfoundlands have a significantly lower rate of taurine synthesis than Beagles (7). There is additional evidence that large and giant breed dogs have lower rates of taurine production compared with small dogs. Ultimately, studies suggest that certain dogs possess a genetic predisposition to taurine depletion and increased susceptibility to taurine-deficiency DCM and that this susceptibility may be related to the combined factors of breed, size and metabolic rate. What is the Role of Diet? The recent spate of cases and media attention to taurine-deficiency DCM in dogs suggests that this is a very new problem in dogs. However, it is not new. 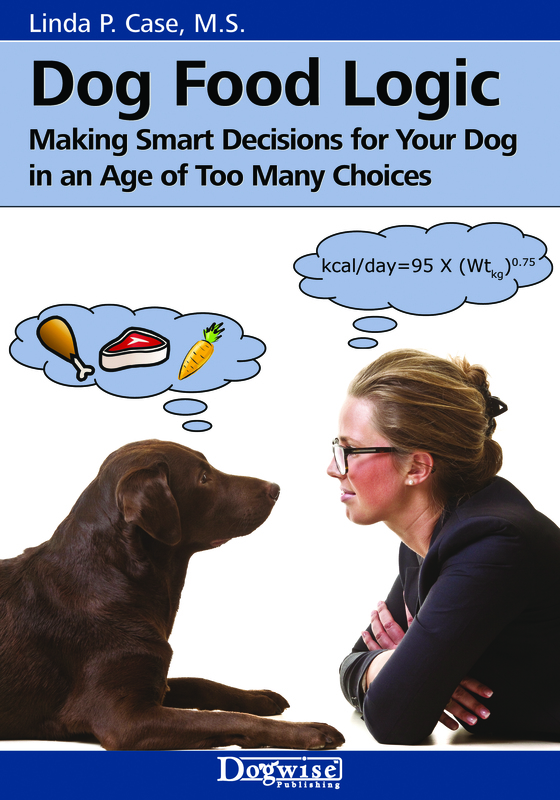 A connection between diet and DCM in dogs was first described in a paper published in the Journal of the American Veterinary Medical Association in 2001 (8). What is new is the sudden focus on certain pet food ingredients and the target that appears to have been placed upon the backs of all “grain-free” pet food brands by some bloggers and veterinarians. Not to put too fine a point on this, but the 12 cases of taurine-deficiency DCM described in the 2001 paper were collected between 1997 and 2001, years before grain-free dog foods had arrived on the pet food scene. Rather than disparage one class or type of dog food (or pet food company), it is more important to look at specific dietary factors that may be involved in DCM in dogs. Generally speaking, these are expected to be the same as those identified for cats, including low protein levels, poorly processed or heat-damaged proteins (leading to Maillard products), and the inclusion of a high proportion of plant-based protein sources such as peas and legumes. Over the past 15 years, reduced taurine status in dogs has also been alternately associated with feeding lamb meal and rice diets, soybean-based diets, rice bran, beet pulp, and high fiber diets (9,10,11). As with cats, there appear to be multiple dietary (and genetic) factors involved. For example, it was theorized that the perceived (not proven) association between lamb meal and taurine status was due to low levels of available amino acids present in the lamb meal, or to excessive heat damage of the protein, or to the confounding factor of the inclusion of rice bran in many lamb meal-containing foods. To date, none of these factors have been conclusively proven or disproven. Although, the most recent study showed that three types of fiber source – rice bran, cellulose, and beet pulp – all caused reduced plasma taurine levels in dogs when included in a marginally low protein diet, with beet pulp causing the most pronounced decrease (11). Complicated? You bet. This is why it is important to avoid making unsupported claims about certain foods and brands. Taurine-deficiency DCM has been around for a while in dogs and continues to need study before making definitive conclusions about one or more specific dietary causes. What DO we know? We know that any dietary factor that reduces the availability of taurine precursors, binds taurine bile salts in the intestine, or causes an increase in the bacteria populations that degrade taurine can reduce a dog’s ability to synthesize taurine or will increase taurine degradation and/or loss in the feces. These changes could ultimately compromise a dog’s taurine status (especially if the dog was genetically predisposed) and affect heart health. In extreme cases, as we are seeing, this can lead to taurine-deficiency DCM (see diagram below). FDA Report: The FDA report identified foods that contain high amounts of peas, lentils, legume seeds, or potatoes to be of potential concern. The FDA also stated that the underlying cause of DCM in the reported cases is not known and that at this time, the diet-DCM relationship is only correlative (not causative). However, this has not stopped various bloggers and even some veterinarians from targeting small pet food companies and/or grain-free brands of food, and implying that these foods, and these foods alone, are causing taurine-deficiency DCM in dogs. Their reasoning is that peas and legumes are present in high amounts in foods that are formulated and marketed as grain-free. However, the truth is that many companies and brands of food include these ingredients. More importantly, there is no clear evidence showing that a particular dog food type, brand, or even ingredient is solely responsible for taurine-deficiency DCM in dogs. Rather, it is more reasonable and responsible to speculate that one or more of these ingredients, their interactions, or the effects of ingredient quality, heat treatment, and food processing may play a role. Furthermore, the underlying cause could be the protein, starch, or fiber fractions of these ingredients. As plant-source proteins, peas and lentils and legumes include varying amounts of starch (both digestible and resistant forms) and dietary fiber. These protein sources are also generally less nutritionally complete and less digestible than are high quality animal source proteins – additional factors that could influence a dog’s ability to both produce and use taurine. Potatoes, on the other hand, provide a digestible source of starch in an extruded food but also contain varying levels of resistant starch, which is not digested and behaves much like dietary fiber in the intestinal tract. The Heart of the Matter: Because any or all of these dietary factors could be risk factors for taurine-deficiency DCM in dogs and because peas, legumes, and other ingredients identified by the FDA report have not yet been fully studied, the heart of the matter is that no conclusions can yet be made about the underlying dietary cause or causes of taurine-deficiency DCM in dogs. Given what we do know, a recommendation is to feed a food that contains sufficient levels high quality, animal-source protein, does not include plant-source proteins as its primary protein source, and does not contain high levels of dietary fiber. If you are worried about your dog’s taurine status or heart health, see your veterinarian for a complete physical examination and if needed, to measure plasma levels of taurine. Pion PD, Kittleson MD, Rogers QR, et al. Myocardial failure in cats associated with low plasma taurine: A reversible cardiomyopathy. Science 1987; 237:764-768. Earl KE, Smith PM. The effect of dietary taurine content on the plasma taurine concentration of the cat. British Journal of Nutrition 1991; 66:227-235. Hickman MA, Morris JG, Rogers QR. Effect of processing on the fate of dietary taurine in cats. Journal of Nutrition 1990; 120:995-1000. Hickman HA, Morris JG, Rogers QR. Intestinal taurine and the enterohepatic circulation of taurocholic acid in the cat. Advances in Experimental Medicine and Biology 1992; 315:45-54. Freeman LM, Rush JE, Brown DJ, et al. Relationship between circulating and dietary taurine concentrations in dogs with dilated cardiomyopathy. Veterinary Therapeutics 2001; 370-378. Backus RC, Ko KS, Fascetti AJ. Low plasma taurine concentration in Newfoundland dogs is associated with low plasma methionine and cysteine concentrations and low taurine synthesis. Journal of Nutrition 2006; 136:2525-2533. Ko KS, Backus RC, Berg JR, et al. Differences in taurine synthesis rate among dogs relate to differences in their maintenance energy requirement. Journal of Nutrition 2007; 137:1171-1175. Fascetti AJ, Reed JR, Roger QR, et al. Taurine deficiency in dogs with dilated cardiomyopathy: 12 cases (1997 – 2001). Journal of the American Animal Veterinary Association 2001; 223:1137-1141. Delaney SJ, Kass PH, Rogers QR, Fascetti AJ. Plasma and whole blood taurine in normal dogs of varying size fed commercially prepared food. Journal of Animal Physiology and Animal Nutrition 2003; 87:235-244. Torres CL, Backus RC, Fascetti AJ, et al. Taurine status in normal dogs fed a commercial diet associated with taurine deficiency and dilated cardiomyopathy. Journal of Animal Physiology and Animal Nutrition 2003; 87:359-372. Ko KS, Fascetti AJ. Dietary beet pulp decreases taurine status in dogs fed low protein diet. Journal of Animal Science and Technology 2016; 58:29-39. 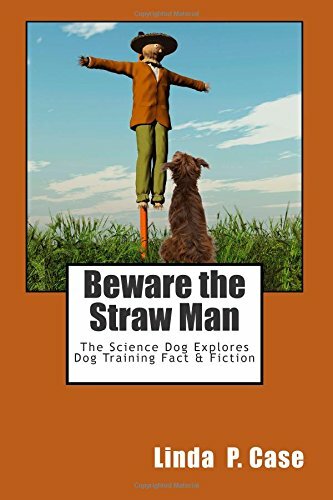 A version of this article was published in the September 2018 issue of Whole Dog Journal. I found this information also confusing. I use a grain free dog food, I also add both cooked and raw veggies, Some fresh fruit, Bone broth, and I alternate ground flax and ground ostmeal. Fish oil, or paleo nitrate free bacon grease, And grass fed plain yogurt. My dogs love this. So are they not eating healthy? In humans, undermethylation of methionine is thought to contribute to heart disease, among other things. I have not heard much about methylation in the veterinary world, but it is a hot topic in human nutrition. Could undermethylation be an issue for some dogs? Grain-free is not “better”, unless, as some dogs do, your pup has an allergy to certain grains. The reason some grain-free foods are better, is because they have a higher amount of lower temperature cooked animal protein. Mostly because of the dubious “gluten-free” craze and marketing, people buy grain-free. No one wants to spend extra money on a high animal protein kibble that has rice or oatmeal as the starch source. It’s the animal protein that is the biggest part of the cost of dog food, not whatever source the starch (which is needed to hold kibble together) comes from. Yes, your pup needs some fiber and gets some phyto-nutrients from the plant sources in kibble, but that’s a much smaller % of their overall needs than animal protein. This may seem out of context, because I was trying to answer the question from Jen at the bottom, but accidentally posted it here. Thanks for such an informative, thorough article! I know I’m late to the party here but in this context what would be considered a “high level of dietary fiber” to avoid? The foods that I’ve been looking into say things like “Crude Fibre (max) 3.2%” but I don’t have an idea where that falls on the scale of “low to high” fiber content. Some of the foods are made by purina and Royal canin. Hardly boutique foods with no nutritional research. And purina makes beneful? Where are those nutritional studies there? I agree that caution should be used, but to blame “boutique” foods is disingenuous to say the least. I believe it makes sense to read the labels and ascertain how much of the protein is meat and how much is legumes/potatoes. This is a really excellent and useful piece, thank you! Thanks for this. The reporting had been at best confusing – suggesting that grain free diets are linked to taurine deficiency, because taurine comes from meat? This supplied missing details. My 11 year old lab-pit had thrived on grain free and so I have been researching his food to determine that it has lots of high quality meat as its primary ingredient. When there are not simple answers having these details is helpful in trying to decide what what to do in the face of a worrisome correlation. She explained in the article that this has been something known for years. Referencing those older articles backs that assertion. I don’t think she, or anyone else, is saying that low levels of Taurine aren’t cause for concern, just that because something is “grain-free” doesn’t automatically mean that is what causes low-levels of Taurine. Since this was recognized in cats in the 80s, and since then all cat foods meeting the AAFCO guidelines have added Taurine, and there hasn’t been any concern, correlation, or causation shown with cats and DCM, and their grain-free diets, doesn’t that lead one to believe that grain-free isn’t the issue? If you’re worried about your pup being low in Taurine, add a few sardines, or a little of a raw food diet (in which the organ meats contain a high amount of Taurine) to your pup’s food. Problem solved! Reblogged this on KSCO Pet Radio. Has the author seen the particularly strong correlation between some diets and the aforementioned heart disease? My understanding is not that “bloggers and some veterinarians” are jumping to conclusions. Rather, some cardiologists became rightly alarmed at the increase in cardiomyopathy and its correlation with certain diets. It was THE CARDIOLOGISTS that alerted the FDA. Some of these cases are first presented to the emergency room and/or in too damaged of a state to recover. While I agree underlying causation is not known, there is too high a correlation to ignore. I think the fact that this is being discussed means the correlation is not being ignored, but rather that there is effort being put into figuring out exactly what is similar in the diets that seem to be causing the problem. This article is excellent in that it discusses the likely dietary sources so consumers can read the labels, talk it over with their vet, and make adjustments if needed. I’ve read articles lumping “boutique”, grain free, and raw diets all together as something to avoid based on this DCM issue. “Boutique” is hopelessly vague and judgmental. I’ve even seen reference that smaller manufacturers don’t have access to full testing of ingredients, either an ignorant or dishonest statement. The companies that do feed analysis for my livestock will do a full dog food analysis against the guidelines too. Pricey for in individual, but quite reasonable for even a small company. The grain free seemed odd to me as meat is the source of the amino acids we are looking for. There are many dog foods marketed as grain free and I’ll bet they have a wide variety of levels of protein from meat sources. Finally the raw diet as dangerous from a taurine perspective made no sense at all. Raw diets are primarily raw meat, the richest source of the amino acids required. This article focuses on the likely causes and allows people to make decisions and changes based on more than brand. Maria, testing of dog food should not just include laboratory or calculated nutrient analysis as you describe. That’s the point and why a veterinary nutritionist pointed out the problem is with novel diets. Combining ingredients can have unexpected effects. Proper research of dog food takes place over years with multiple experts involved. The currently reported DCM cases are precisely coming from companies that do not do live animal research and do not have a veterinary nutrition research team. There is more information available than is being suggested in this blog. She does state in her article how some plant products may bind the Taurine/Bile salts. Which is why some grain-free diets, high in legume/potato proteins and low in animal proteins might be causing problems. Either way, having a high % of animal protein, cooked at lower temperatures then the majority of kibble, means there is more taurine and the amino acids that dogs use to make taurine are available and not cooked out of the food. Most people don’t realize that the majority of kibbles out there are cooked at such a high temperature, they have to spray flavoring and nutrients on it after it’s cooked! Why do they cook at those high temperatures? $$$ They can make more product in less time. Also, fwiw, Veterinarians (including sub specialists such as Cardiologists) get one 8 hr class in nutrition in their 4 years of vet school, and those classes are subsidized by companies like Science Diet, Hills, Purina, etc. They make a killing on “prescription” pet foods, which don’t contain anything the actually requires a prescription and are made with copious amounts of cheap ingredients such as corn. Just because someone’s a vet, doesn’t mean they know a darn thing about nutrition. I’d rather trust someone who has her BA and MS in animal nutrition, when it comes to what I feed my pup. Lots of non-specific words/phrases, such as “certain fibers and peptides” or “thermally processed” suggest, frustratingly, that there are many poorly constrained variables in this model. Question : Have you seen any credible evidence that grain – free is better? I was trying to reply to this, but accidentally posted a new comment which is at the top of the comments page.